Roasted Broccoli, with delicious crispy browned edges and hints of lemon and garlic, is an easy side dish to serve with any meal and can be ready in 15 minutes. I do enjoy how roasting accentuates the flavor in foods, especially vegetables. 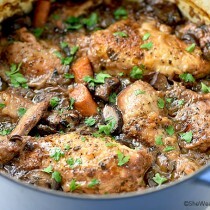 With minimal effort and ingredients, a short visit to the oven can deliver a savory (low carb!) side dish in no time. 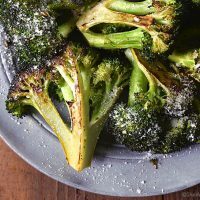 This Roasted Broccoli Recipe is a delicious example of how roasting can take a somewhat bland vegetable to one that is devoured and requested again and again. 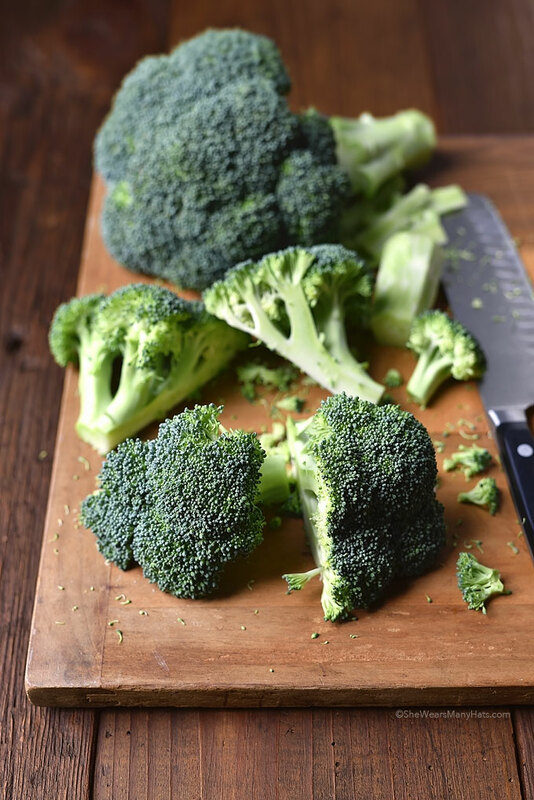 This Roasted Broccoli recipe is such an easy side dish to make. Begin by lining a baking sheet with baking parchment. Then simply toss quartered broccoli with olive oil, lemon juice, minced garlic, salt and pepper on the baking sheet. 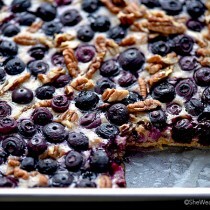 Spread out in a single layer on the lined baking sheet. Roast for about 10-15 minutes at high heat until lightly browned. A nutritious and delicious side dish ready in about 15 minutes? That’s hard to beat. 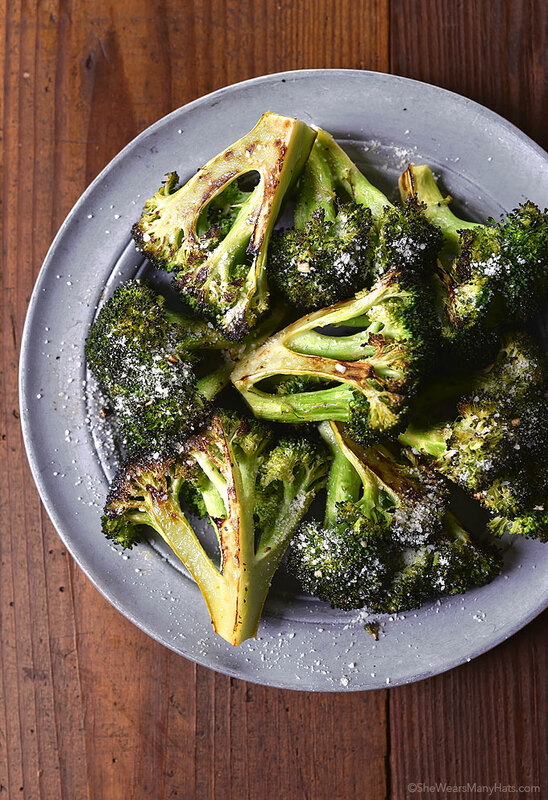 While roasting, the broccoli develops slightly browned and crispy edges, with almost a nutty flavor. Delicious! Little hints of fresh lemon peek through along with bits of garlic, which are such a nice addition. Another nice addition, if you would like, garnish with grated parmesan as soon as you remove it from the oven. I think you will find this easy Roasted Broccoli will quickly become a favorite side dish for serving throughout the year. 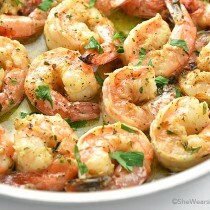 It is such a nice compliment to fish, chicken and beef, or serve it all by itself for a light meal or snack. Enjoy! Broccoli is roasted with olive oil, lemon and garlic to create an easy side dish to serve with any meal and can be made in 15 minutes. Adjust oven rack to low. 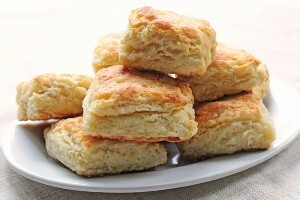 Preheat oven to 450-degrees F. Line a large baking sheet with baking parchment. Spread broccoli on prepared baking sheet. Drizzle with oil, squeeze lemon juice over broccoli, sprinkle minced garlic, and a few pinches of salt and pepper. 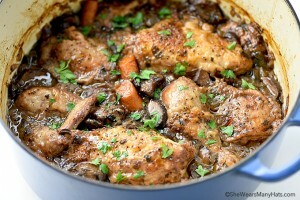 Toss all together on pan to coat. Roast in oven for 10-15 minutes until lightly browned. If desired, garnish with grated parmesan. *If broccoli has large stem, cut stem off, peel and quarter stem. Originally published April 13, 2015. 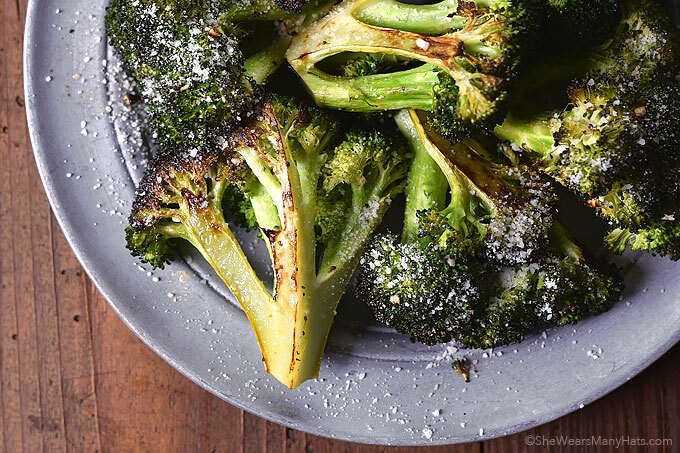 Beautiful Roasted Broccoli…lemon and garlic, perfect! Love easy, healthy sides. Thank you! Roasted broccoli is one of my go-to lunches. In no time at all, the whole pan is gone. So good!! I tried the Lemon Garlic Green Beans for Easter dinner and they were out of this world! I will try this broccoli recipe this week and am anticipating wonderful things! If you like broccoli, I think you’ll enjoy it very much. Sometimes I think there is simply nothing better than roasted vegetables. This broccoli looks perfect!! Always looking for a different and delicious way to prepare broccoli. This sounds great! Excellent broccoli recipe and very easy to make! Guest and family love it!